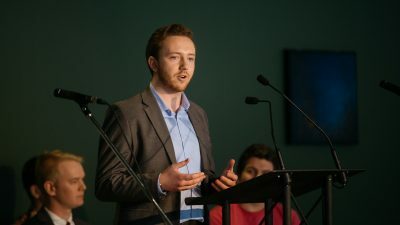 The Students’ Union’s relationship with Indigenous students became the leading issue among the three presidential candidates during the first SUBstage forum. 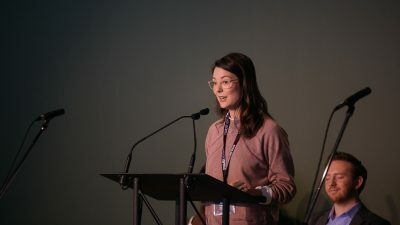 During the question and answer period, third-year sociology student Deirdra Cutarm, former president of Aboriginal Student Council, asked the three candidates for “one tangible way” they’d expand communication with Indigenous groups. “Because I don’t want to just see another goddamned checklist to prove your progressiveness,” she said. That wasn’t the only time the candidates were asked how’d they approach Indigenous relations. Earlier in the forum, candidate and current vice-president (academic) Shane Scott asked the others how they’d plan to mend Indigenous relations. 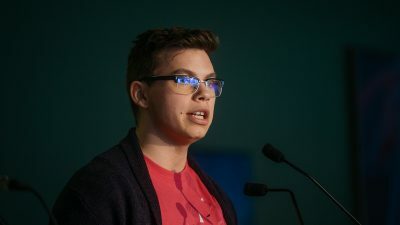 Afterwards, the candidates were asked how they voted on Bill 5, a piece of legislation which was opposed by many Indigenous students but passed Students’ Council following a controversial vote in January. Candidate Reed Larsen, who currently serves as vice-president (external), said he voted no on Bill 5, and that council should have taken more time to come to a consensus. 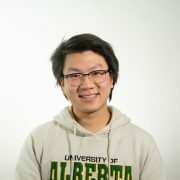 He said he would make more of an effort to meet Indigenous students in their spaces to hear their concerns and to respect the nation-to-nation relationship. 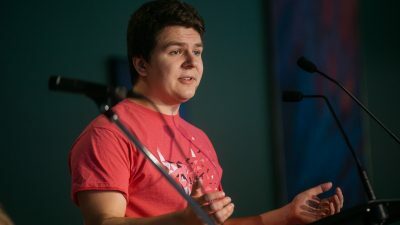 Ilya Ushakov, who is the current vice-president (student life) said he voted yes on Bill 5 and that it improved the Students’ Union’s subcommittee structure. He also said he’d continue to work within the Aboriginal Relations and Reconciliation Committee to make sure Indigenous students are heard. “That committee needs to be successful in the years to come to really create and strengthen that relationship,” Ushakov said. 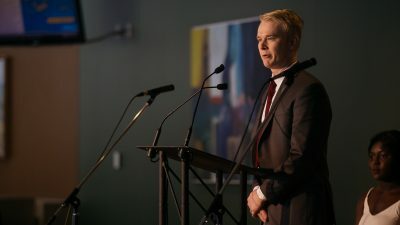 Shane Scott, the current vice-president (academic), agreed with Cutarm that candidates need to stop “parading around the reconciliation point in their platform.” He added that he was one of Bill 5’s most vocal opponents during Students’ Council and suggested creating a coalition of Aboriginal student groups. 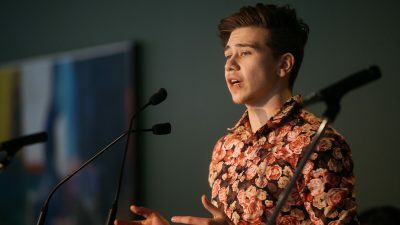 “I am proud to say I am the only member of the executive who has without a doubt echoed the voices of marginalized voices on campus and ensured that the Aboriginal student voice was present at the council table,” Scott said. 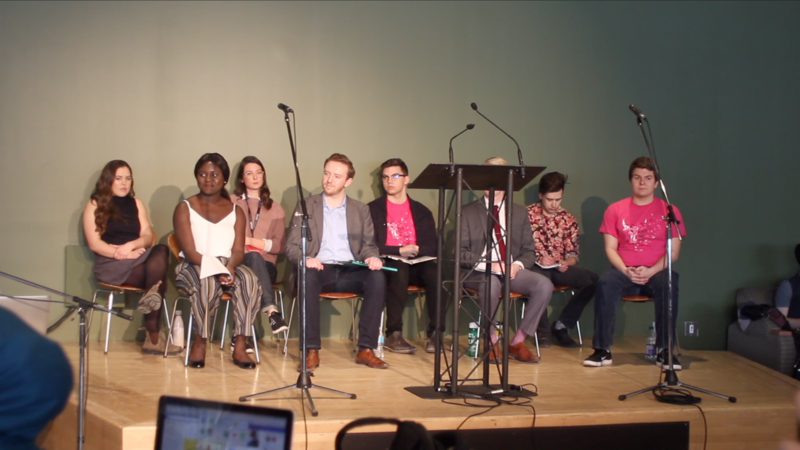 During the forum, candidates for vice-president (external) were asked about their approach to cannabis legalization on campus and the employability of undergraduate students. Candidate Adam Brown, president of the L’Association des Universitaires de la Faculté Saint-Jean (AUFSJ), asked his competitors how they would address the impending legalization of cannabis on campus if elected. In his answer, candidate and current Education councillor Jimmy Thibaudeau emphasized the need to focus on student awareness and autonomy. He said he plans to make sure students are not completely restricted with cannabis use on campus. Vice-president (external) candidate Esther Thieba. 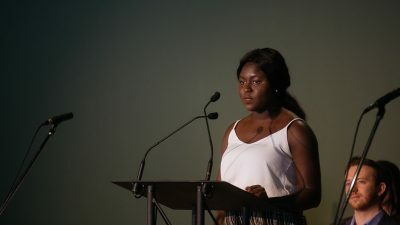 Candidate Esther Thieba, vice-president (social) of the Undergraduate Psychology Association, said she believes cannabis legalization has been divisive nationally and will prove to be the same on campus. She believes the portfolio of cannabis legalization will not be a one-term issue. 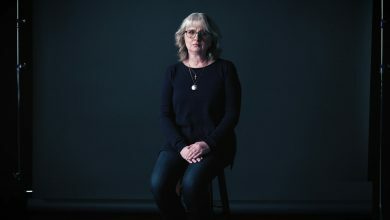 Brown responded with his plan to advocate the provincial government to reinvest tax revenue generated from the sales of cannabis into a dedicated mental health fund. He also said he’d continually monitor the effects of any policies with all levels of government to ensure it’s what students want. All three candidates included increasing employment opportunities in their platform. Thibaudeau asked how each candidate would address that issue if elected. Vice-president (external) candidate Adam Brown. Thieba said she plans to expand the Summer Temporary Employment Program (STEP) into a year-long program to ensure opportunities for students are not just seasonal. Brown said he would also expand STEP for domestic students while working on the enlargement of the federal government’s student employment program. 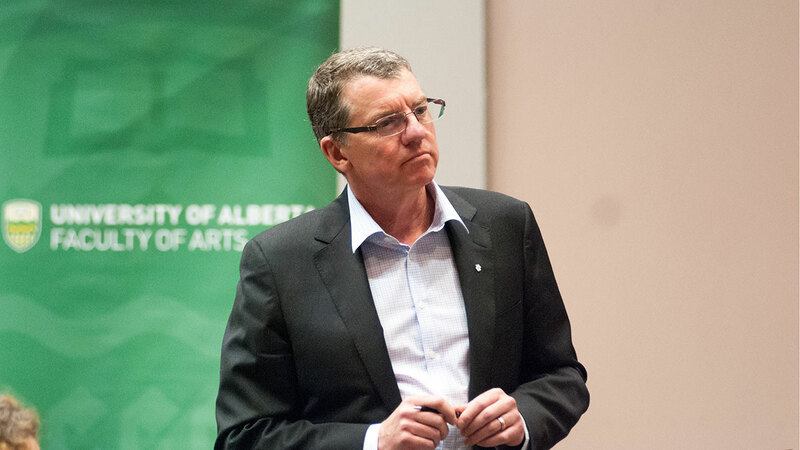 He also outlined his plan to advocate the federal government to change working legislation for international students. Vice-president (external) candidate Jimmy Thibaudeau. 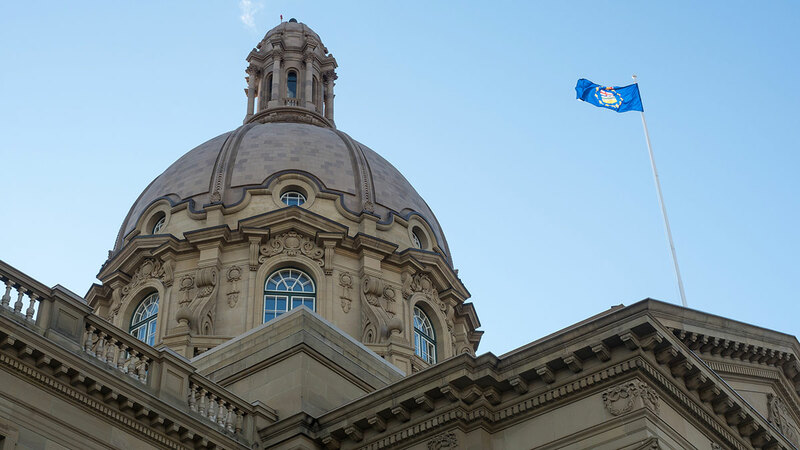 Thibaudeau said he also wants to expand STEP, and said he would work with the municipal government to create a subsidized job program with the City of Edmonton. “(This will) increase the diversity of job locations, job fields represented, and as well as the time of year you can apply for the job,” he said. 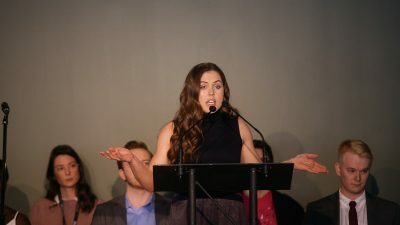 While Donald Straump, a Donald Trump parodying joke candidate, did not attend the forum, vice-president (operations & finance) candidate Emma Ripka focused on the creation of a skill-sharing network for students during her opening introduction. Ripka said the program would help students connect by collaborating on projects and starting events. 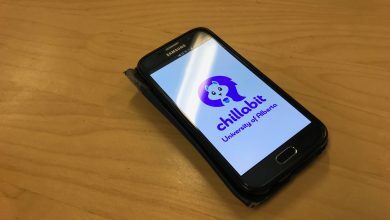 She added that the network would enable students to reach beyond their faculties to make connections with other students. Without Straump, Ripka only answered questions directed to her from the audience. Vice-president (operations and finance) candidate Emma Ripka. Current vice-president (operations & finance) Robyn Paches asked Ripka about her prior experience with budgeting and what her budgeting philosophy would be if elected. In the final minutes of the forum, an audience member asked Ripka what she’d do differently from Paches. In response, she said she wanted to continue some of his projects but would stop allocating money for deferred maintenance projects as she felt it was more of a concern for the vice-president (external). The Students’ Event Initiative (SEI) referendum campaign was grilled with many questions from students. Represented by Daria Nordell, the initiative looks to reinvent the Myer Horowitz Theatre as an accessible space to all — through granting to student groups to host events in the venue — while renovating the physical space. The SEI will appear as a plebiscite question for students when they vote on March 7 and 8. Students will have to pay $8.25 per semester until 2020, and $16.50 per semester after 2020 to facilitate the renovations and funding for student groups. One of the questions asked was how student feedback played into the overall process. Nordell said feedback was “absolutely essential” in creating the initiative. Daria Nordell, who is representing the Student Events Initiative “yes” side. Nordell said that after hearing this feedback through surveys, focus groups, and consultations with student groups, the SEI formed to allow greater opportunities for student groups. Another student asked whether there were any comparable initiatives at other universities across Canada. Nordell mentioned that Ryerson University and the University of British Columbia both have comparable programs in place and that they brought Drake and Bernie Sanders respectively to their campuses. She hopes the U of A can follow suit.